Westin Westin Automotive Products, Incorporated is a manufacturer of premium quality truck and SUV accessories. We sell directly to reputable warehouse distributors and chain retailers, who in turn provide the best service to consumers, offering the widest selection of inventory and quick delivery. It is the Mission of Westin Automotive Products, Inc. to provide its customers with high demand products through the promotion of sales. Marketing programs that build brand awareness and customer loyalty support this promotion all the while maintaining the product quality that earned us our place in the industry. Today there are many choices available from a wide variety of suppliers and we know the decision making process is becoming all the more confusing. In fact, during meeting, we are often asked What makes Westin different from all the other competitors in the truck accessory market? or more simply put; Why Westin? In order to answer this question we would like you to consider the following: Over 33 years; The most complete line of Step-Up products in the broadest range of materials; Over 8 styles of Grille Guards to choose from; Consumer and Trade advertising; Authorized Dealer Program; Email Broadcasts Competitively priced products and programs; A proven record of consistent fill rates of over 90%. THATS WHY! WeatherTech From concept to consumer, MacNeil Automotive Products Limited have long been recognized by the discerning automotive enthusiast as a supplier of automotive accessories of unparalleled quality, MacNeil have further garnered the acceptance to supply products to many Original Equipment Manufacturers (OEM's)! In fact, MacNeil currently supplies accessories to all three German manufacturers of luxury automobiles as well as a host of other automobile manufacturers worldwide! Warn Warn Industries is the world's most recognized brand in off-road products. The company designs, manufactures and markets a full line of off-road equipment and accessories that enhance the performance of four-wheel-drive vehicles and ATVs. As well, the WARN Industrial and WARN Works (for utilitarian use) brands offer high-performance, quality products for today's hard worker. UWS Dedicated to professional workers and tradesmen, a complete assortment of commercial storage and carrier solutions at a great value. For the workman looking for tough, well-built storage and carrying solutions, that are as hard-working as you are. Tough. Reliable. USA Made. Undercover Tonneau Undercover is the new standard in tonneau covers. Our Patented X-effect design and advanced polymers give this tonneau cover unparalleled strength and durability at a fraction of the weight and less cost than fiberglass. Now with 61 available models, there's an UnderCover made to perfectly fit most passenger trucks including Longbeds for Ford, Chevy/GMC, Toyota, Dodge, Nissan, and others. Click here to visit our models page. The Fastest Installation in the industry: 30 minutes to install, and 1-minute removal and re-install! Tuff Country Tuff Country EZ-Ride Suspension was incorporated over 20 years ago realizing the desperate need for quality suspension products in the after market world. As well as supplying the 4WD enthusiast with the best quality, Tuff Country EZ-Ride Suspension also offers you the most competitive price structure in the industry. Tuff Country EZ-Ride Suspension opened its doors in July of 1988 in a small 1000 square foot facility. We have now expanded into a new 53,000 square foot high tech facility nestled at the bottom of the beautiful Rocky Mountains in Salt Lake City, Utah. Tuff Country EZ-Ride Suspension utilizes the transverse terrain of the Rocky Mountains and the rugged terrain of Utah's southeast desert near Moab Utah as its testing grounds. All brackets are made from high quality top grade steel and cut to precise dimensions by a state of the art computerized laser beam. What does this mean for you? It means every bracket is made the same and will allow a proper fit. TracRac TracRac, Inc. is a design and manufacturing firm headquartered in Fall River, MA., producing a full line of cargo management systems products; including rack systems, accessories and workstations. Manufactured and assembled in USA, TracRac products are functional and packed with unique features that enable custom configurations for professionals and sport enthusiasts alike. Thule Thule is the world leader within Sports Utility Transportation delivering transportation solutions for active families, professionals and outdoor enthusiasts wanting to transport their equipment by vehicles safely, easily and in style. The product portfolio comprises load carriers for cars such as rooftop boxes, roof rails and bike carriers. Additionally, the company offers snow chains, trailers, towing systems as well as accessories for motor homes and caravans. Thule has 3 500 employees at over 30 production and sales locations on all major car markets in North America, Europe, Africa and Asia. Net sales for 2008 amounted to SEK 6.2 billion (approx 620 M Euro). Thule Group headquarter is based in Malm, Sweden, and majority owned by Nordic Capital, www.nordiccapital.com. T-Rex Truck Products We are a billet grille manufacturer dedicated to delivering a quality product. Our business has grown greatly over the last 10 years. We specialize on a specific market and cater ot the needs of the customer. Our focus in the design department is in the fit and ease of installation. Bolt-on billet grilles mean less tools and no cutting which in turn equals more productivity. When it comes to manufacturing a quality product, it starts in the design department but it doesn't end there. We start with solid stock of aircraft quality T-5 or T-6 billet aluminum rather than extruded aluminum as used by some competitors. The stock is cut to length then shaped to its specific contour. Each grille is then hand assembled into a custom jig and precision welded with a process called T.I.G. to ensure a strong and clean weld. At this point every billet grille is treated to a durable glossy block powder-coat. The final stage of manufacturing includes a three-stage polishing and cleaning. The entire process takes place in our Southern California manufacturing facility. When a retailer or distributor sells a T-Rex Billet Grille, they know they are selling years of experience in quality and fit. This is a billet grille that will last and make a vehicle stand out over the competition. SuperSprings SuperSprings International Inc, is a manufacturer and distributor of Front SumoSprings and Rear SumoSprings the worlds first airless airbags; SuperSprings the unique, self adjusting leaf spring suspension enhancers; SuperSway-Stops the simple solution to reducing camper body-roll; SuperCoils the heavy duty, replacement front end coil springs; SuperKeys the forged torsion keys for lifting and leveling the front suspension while maintaining your ride quality. Superlift Formed in 1975, Superlift remains a pioneer in the industry. Today, Superlift is one of the few suspension companies that is owned and operated by actual four wheel drive enthusiasts! Our company philosophy and product line reflects this passion. Over the past thirty years we have enjoyed continued success by providing the truck / SUV owner functional products that perform as advertised. Superlift's Product Development Department staff -- arguably the industry's most talented group -- uses the latest computer modeling technology, with most of our stock vehicle data supplied by the various new vehicle manufacturers. We also understand that most people spend the majority of driving time on-road... our products work exceptionally well on-road or off. Determining what product is right for your vehicle and lifestyle can be a daunting task, especially today with so many suspension sources to choose from. We urge you to carefully research your options. Talk to fellow off-roaders, your local 4WD specialty shop, and our tech staff always enjoys a good conversation. Bottom line... do your homework and you'll discover that we've done ours. Also, please take time to review the Choosing Your Lift section of the website. Superchips Performance. Bang for your buck. Flexibility. Tire smoking. Fuel economy. Better towing. Information. More features than the other guys. We know what you want, and Superchips is the solution. We deliver specialized performance and features for your vehicle. Holy Crap performance. The kind of performance that leaves you asking, is this legal? Barely. The kind of performance you cant live without once youve experienced it. And the kind of quality and support that leaves you with no regrets. Superchips offers the broadest vehicle coverage, so youre more likely to find what youre looking for here than anywhere else. But one size definitely does not fit all. Our engineering teams develop solutions specific for each vehicle. You dont get 25 years in the business by delivering mediocre products. Superchips is simply the best-selling brand in the business. All of our products are easy to use, flexible and easy to update when you want to. Click on one of the tabs to the left to learn what Superchips can do for you. Street Scene Street Scene Equipment is the leading supplier in exterior styling accessories for your car, truck or SUV. Our staff of automotive and truck enthusiasts work hard each day to develop several new products focused on building Street Scene Equipment into the ultimate source for styling components. We have continued to design and develop items you are looking for and have now increased the range of Street Scene products to over 1800 part numbers! In addition we have received countless car and truck show awards from the leading shows across the country. 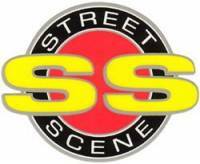 Street Scene products have been seen on TV shows, rock videos and hit movies for over 10 years. Street Scene Equipment products are easy to install and will help you develop your stock vehicle into the hot looking vehicle you are looking for that will turn heads and give you a sense of your own taste and design. As you dive into this web site you will notice that we continue to expand our range of Speed Grilles, Body Styling, Cal Vu mirrors and other great styling components to include applications through the latest model vehicles. We also continue to add several new product photos and feature vehicles so that you can see the great looking Street Scene products you will be receiving. Once you have looked up the part that you are interested in purchasing, you can click on the instruction sheet to provide you with details on installation procedures prior to your purchase. Please note that we continue to release new applications and part numbers weekly. If you don't find what you need in this web site call our customer service department at 888 477 0707 to find out if we are in the process of building what you are looking for. Street Scene Equipment is a manufacturer only so if you are looking to purchase Street Scene Products, enter Street Scene Equipment in your favorite search engine and it will direct you to several leading Street Scene distributors who can help you with your purchase. Spyder Auto The Spyder Auto Group has been serving the auto industry for nearly a decade. We specialize in wholesale distribution of automotive products. We are the leading providers of aftermarket lighting, tuning and styling auto parts in the U.S. Our 140,000sqft corporate headquarters is located in the City of Industry, California. Our business principle allows us to help customers customize their vehicle according to their style and preference. Spyder Auto stands by their products to ensure excellent quality control and customer support. Spyder Auto sells and Distributes products such as: Projector headlights, L.E.D tail lights, Header, Cat-back exhaust, Mufflers, Intake system, Filters, Racing seat, Sport Mirrors, Spoilers, and Front Grills. We are constantly expanding our application line to provide the latest products that this industry has to offer. Spyder Auto also houses a wholesale department that is committed to providing competitive pricing and excellent customer service. In addition, our focus is on providing knowledgeable information through our support team. This will allow the customer to build confidence in our products, and helps the customer understands what they are buying. Spyder Auto has an In-House Visual graphics design team that includes professional photographers and website management team. Please feel free to contact us for product images, catalogues, or any other questions you may have. We look forward to working with you soon! Dealers welcome. Smittybilt In 1956, Basil Smith, also known as Smitty, started a small machine shop in his garage, called Rock-ett Products. Being one of the original four wheel drive enthusiasts, his chief concern was to develop four wheel drive equipment for trucks and small SUVs (Jeeps). Over the years, Smitty's son Tom worked at Rock-ett and then with the newly named Smittybilt. Having been exposed to the four wheel drive lifestyle all his life, Tom was able to create new and innovative product ideas geared towards the growing off-road aftermarket industry. As the business grew, Tom created more and more exciting new products including the original Nerf Bar side step and tubular front and rear bumpers for Jeeps. Today, Smittybilt, Inc. proudly supplies thousands of active dealers and distributors worldwide with innovative truck and SUV accessories. Smittybilt has expanded its product offering to over 2,000 different products servicing the international truck and SUV markets. The constant involvement of management in the off-road markets has kept Smittybilt in touch with the latest market trends and on the forefront of engineering and design. Welcome to the new Smittybilt where innovation and quality are once again at the forefront of product development. Get the Original, Get Smittybilt! Skyjacker At Skyjacker, we believe our relationship with Jesus Christ has been the driving force in the success of our company. Since our pioneering days in the early 1970's, Skyjacker's fieldproven expertise is suspension systems; lift kits and systems along with all the necessary components and accessories you need. People have always enjoyed heading out into the great outdoors to satisfy their sense of adventure. With everything, there are always some people who want to go farther and conquer more territory. These are our customers...and the customer is always right. Throughout Skyjacker's over 30-year history, we have never backed down from our dedication to our pure passion of off-roading, and we never will. Skyjacker's philosophy has always been to Provide the best designed, advanced engineered, and most innovative suspension that the 4x4 industry has ever seen and used. We engineered the definition of what a quality suspension should be: a suspension system that works in form and function to the highest level of achievement possible with the highest quality of materials and resources available. At Skyjacker, we're listening! By hosting, sponsoring, supporting and participating in a vast array of outdoor events, Skyjacker is extending a helping hand to the total sport of off-roading. Look for our Rock Ready Tour Team at the events. That's right, We Test Where You Ride. By designing, testing, up grading and then more testing, Skyjacker is surpassing the demands of both our customers and the harshest terrain. SCT Performance SCT Performance LLC. is a leading provider of handheld automotive performance / fuel economy programmers and custom tuning software for Ford, General Motors and Dodge / Chrysler vehicles. Founded in 2003 by hard-core automotive enthusiasts, SCT's employees share a passion for the products they create and the performance vehicles that utilize them. Our employees are not just engineers, managers and sales people. Many are performance enthusiasts that build, race and drive high performance vehicles. SCT's strong background in software and OE automotive powertrain calibrations gives our company the ability to put the most powerful and functional tuning products & custom tuning software into the hands of our customers. For more than 7 years, SCT has empowered custom tuning dealers worldwide to provide huge increases in horsepower / torque, while retaining the factory drivability and reliability of even the wildest high performance vehicles. SCT's customers trust us to deliver technology solutions that help them do and achieve more, while providing them with the support and tuning resources they need to grow their businesses. Long before SCT was incorporated, the key players in the SCT organization were already working inside the industry that we now serve. The core SCT team came from different areas of the automotive industry including performance shops, drag racing teams, OEM vehicle calibrations, performance parts manufacturing, and aftermarket tuning. SCT's Advantage III custom tuning software has been in development since 1996 and through extensive development has evolved into the most powerful custom tuning tool in the world. Today, SCT's Advantage III custom tuning software is in use in 26 countries by over 1100 custom tuning performance shops, performance manufacturers and OE performance solution providers worldwide. Rugged Ridge Rugged Ridge Off Road Products is an exciting new brand developed to provide quality & functional Jeep accessories for the growing Jeep aftermarket. Created by a dedicated team of automovite aftermarket manufacturing professionals with over 35 years of combined industry experience, the Rugged Ridge product line will emphasize high quality Jeep parts at an affordable price. As a Division of OMIX-ADA, the leader in replacement parts for Jeep vechicles, the Rugged Ridge pedigree is well established in the market. Rugged Ridge has created over 500 products that are custom designed to fit Jeep vehicles and even more are in the pipeline. Rugged Liner Rugged Liner is recognized as a leading manufacturer of pickup truck bedliners and other accessories, providing quality aftermarket products. Established in 1995, Ruggedliner is headquartered in the rural community of Owosso, Michigan just west of Flint, Michigan. With over 450,000 square feet, our state of the art manufacturing and shipping facilities, meets and exceeds industry standards across the country. Our facilities are ISO 9001:2000 certified. Rugged Liner employees are committed and dedicated to meet and exceed our valued customer needs. Bottom line: We give our valued customers what they want and more, which enables us to be recognized as a premiere leader in the industry. Roll-N-Lock Roll-N-Lock, the most advanced retractable truck bed cover made, has redefined the rules for truck bed security. From its retractable function, which permits opening or closing in literally seconds, to its rigid, vinyl-over-aluminum laminated construction, this hybrid cover offers everything other covers do not. Youll have no snaps to manipulate, no roll or bundle to lash down or stow, no cross bars to negotiate, no fabric shrinkage to struggle with, and best of all no worries about the security of your cargo. The Roll-N-Lock retractable bed coverby far the most sophisticated and versatile truck bed cover made. Roll-N-Lock Corporation was established in 1992 by the management and engineering staff of Solaroll Shade and Shutter Corporation, a leading manufacturer of retractable (rolling) storm shutters since 1974. Many key members of the Roll-N-Lock management and design team have been working together for more than 20 years. ReadyLift The Best Truck Leveling & Lifting Systems - Guaranteed to maintain your factory ride! ReadyLift Suspension Inc. is the #1 preferred manufacturer of truck and SUV Suspensions Leveling and Lift Kits that are guaranteed to retain your factory ride while providing the looks and lift every truck owner wants. Check out our new Top Mount Strut Extensions, Forged Torsion Bar Keys, OEM Style Lift Blocks, Mild Lift Kits and more! RBP Rolling Big Power At this time, RBP has contracted with several hand-picked manufactures who are producing a variety of products built to RBPs exclusive design. The ever-growing list of products manufactured and marketed by RBP includes diesel performance exhaust systems; grilles for diesel and gas pickups; a variety of custom bright-work, also for diesel pickups; exhaust tips for both diesel and gasoline-powered vehicles and a complete line of custom wheels. RBP also markets several diesel performance products produced by recognized manufactures, products that have passed the companys stringent in-house testing and meet the RBP criteria of excellence. Raptor CYC Engineering, Inc was founded with the concept of providing high quality products at the most competitive prices. With over 40 years of combined experience in engineering, design and manufacturing, we can produce labor intensive products with consistent high quality and precision at affordable prices. Raptor Series manufactures high quality stainless steel bull bars, step tubes and bed rails. Our most popular product category is the 4 inch oval and 5 inch oval stainless steel step tubes. These oval tubes are known for its distinctive high polished stainless steel end caps and Super-Brite finish. In the highly competitive market of truck accessories, Raptor Series is the brand of choice when consumers are looking for consistent high quality truck accessories at competitive prices. Rancho Rancho is the off-road suspension and shock division of Tenneco. Rampage Our continued commitment to service, quality and product innovation have established Rampage as a significant industry partner in the specialty Jeep, Truck, SUV and UTV marketplace. With this catalog, we present an expanded line up of both street and off road products as well as additional enhancements within each product category bringing you new designs, features and benefits to satisfy a wider range of consumers and their vehicle uses. Our team of industry enthusiasts not only use these products, but also contribute to the many new ideas you will find in the following pages - together we invite you to review our program, use our products, and join our growing family of satisfied customers. Putco Lighting Putco is the industry leader in automotive accessories including chrome trim, LED lighting, step bars, truck accessories, and stainless steel fender trim. Putco Putco is the industry leader in automotive accessories including chrome trim, LED lighting, step bars, truck accessories, and stainless steel fender trim. Pro Comp Suspension Pro Comp is globally recognized as one of the leaders in off-road technology. Since 1992 we've been manufacturing high quality, durable products for on and off road racers and enthusiasts. Pro Comp is located in beautiful San Diego, California. If you have questions about our organization that is not detailed in our website please contact us. Thank you for your interest in Pro Comp. Pop and Lock Acquired by VSI, LLC on November 1, 2011, Pop & Lock has been in the automotive aftermarket industry for over 18 years. With operations currently located in Green Bay, Wisconsin, Pop & Lock leads the industry in manual and power tailgate locks. Pop & Lock continues to expand its product offering to include applications that accommodate tailgates on emerging truck models. PIAA PIAA Corporation was established in 1963 with the commitment to manufacture world-class products that our customers could use with pride and confidence. Today, PIAA upholds that commitment by combining market driven concepts with the latest technology to make night and inclement weather driving as safe as possible. Performance Accessories For the past 25 years Performance Accessories has continued set the industry standard for truck and SUV body lifts. We have the most comprehensive line of body lift kits available on the market today for two and four wheel drive vehicles and continue to dominate the market share with over 90% of all body lifts sold being Performance Accessories. Body lifts came into the market approximately 30 years ago to fill a much needed gap that suspension lifts could not provide. Performance Accessories body lift kits are a very affordable option when considering lifting a vehicle; in some cases a body lift can be as much as three times less than a comparable suspension system. The primary reasons consumers choose to lift their vehicles is to allow for the installation of larger tires and wheels, thus increasing the off-road ability of the vehicle and the desired custom look the consumer is trying to achieve. Performance Accessories body lifts on average allows the consumer to increase tire size by two to three sizes. Performance Accessories body lift kits include the highest quality, laser cut, CNC machined steel components, steering extensions, shift adaptors, body lift blocks, bushings and body mounts. All our hardware is zinc plated and or powder coated for corrosion protection and come with complete detailed installation instructions. We also offer urethane gap guards to fill the gap between the frame and the lifted body to give the consumer that completed OEM look. When you combine the many reasons listed above along with our commitment to total customer satisfaction in our products and services we are sure you will agree that Performance Accessories will continue to lead the way in value and performance for many years to come. Outland If you own a truck or SUV, you need Outland Accessories. Outland features a full line of truck/SUV Tube Steps, Bull Bars, Consoles and other functional accessories to make your rig look great and perform even better. 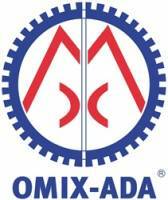 Omix-Ada Omix-Ada is the worlds largest independent manufacturer and wholesale only company with a full line of Jeep parts and accessories. With over 16,000 Jeep parts in stock, with a retail value over $30 million, we are the company behind almost all Jeep parts retailers and warehouse distributors in USA and over 50 countries worldwide. Moreover, Omix-Ada is the top business partner to many Jeep parts retailers, warehouse distributors, installers and Internet merchandisers in the USA and around the globe. Nifty Protect your investment. With Nifty's custom-molded floor mats and rear cargo trays, today's cars, sport utility vehicles, vans and pickups get the protection they deserve - without sacrificing style. Designed to withstand the wear and tear that weather and work can dish out, Nifty products not only enhance vehicle appearance, they keep your vehicle looking great year after year. Simple, quality products that's the Nifty difference. N-Fab N-FAB is the industry leader in making quality Nerf-Bars, Pre-Runners and other Off-Road accessories. We design and manufacture the strongest, most durable and best looking Nerf-Bars available in the industry today. At N-FAB are committed to building a heavy duty, high end, high quality tubular parts for all the latest trucks and SUV's dating back to the 80's. When others are using thinner and thinner tube to cut cost we still use heavier gauge .084 wall steel, with an all welded one piece construction. We Zinc coat each part for better corrosion protection. Lastly we finish our standard parts in a thick layer of high gloss powder-coating for a long lasting finish coat. These standards far surpass any of our competition. If you want products that are unique and designed to last longer, look cleaner, function better then N-FAB has what you are looking for! MSD Ignition Autotronic Controls Corp. (ACC) was founded in 1970 as a research and development company by two engineers from White Sands (New Mexico) Missile Range. The men and their other partners were working on a lean burn fuel system called the Electrasonic Fuel Induction system to help fuel economy of new and older automobiles. As the new fuel system was being perfected, the air/fuel mixture was becoming so lean that it was difficult for conventional breaker points and early electronic ignitions to ignite it. The men of ACC then started investigating a new ignition system by using modern technology called capacitive discharge (CD). The CD design opened another door for the ignition, the capability to spark multiple times. ACC has produced the best performing and most popular performance ignitions for over 20 years. The high energy spark of the CD design combined with multiple sparks resulted in a potent ignition. Not only did the multiple spark discharge (MSD) ignite the lean fuel mixture, it made overall improvements in the engine's performance! Improved starting, smooth idle, less emissions and more power are benefits every car and truck can take advantage of, especially race cars. Professional racers learned of the new MSD quickly and soon word spread throughout the racing world. Since then, MSD Ignition Controls have gone on to be the ignition of choice of the top professional drivers in NHRA, IHRA, NASCAR, World of Outlaws, DIRT, SCORE, IDBA and many more. Together, our team designs, develops, tests and manufactures the entire line of MSD products including Ignition Controls, Coils, Timing Accessories and Spark Plug Wires and Accessories. MSD, housed in three buildings includes four engine dynos, two chassis dynos, complete CNC and machining centers, modern shipping and packaging areas plus assembly and burn-in departments. Mile Marker Mile Marker is an innovative manufacturer of electric and hydraulic recovery winches and drivetrain products for the automotive aftermarket, as well as the leading supplier of recovery winches for the United States Military. Mickey Thompson Mickey Thompson Performance Tires designs, develops and distributes specialty tires for the street, strip, track, and off-road. Since its founding in 1963, the company has championed many firsts in the tire industry, from wide low-profile street tires to rugged, aggressive-tread off-road tires. Designing and producing innovative tread patterns and compounds to build the best performance tires in the world was our focus then, and is still our focus today. Mickey Thompson Performance Tires is known worldwide as a leader in high performance tires and wheels for use on the track and in off-road racing. Our commitment and dedication to racing began with Mickey Thompson and Gene McMannis. Mickey, an innovative race car driver, designer, and promoter held 485 National and International speed and endurance records.Gene McMannis' racing accomplishments included designing and developing tires for the Pan American Road Race, Daytona, LeMans, Indy 500, and Bonneville Salt Flats. He holds various patents.The list of innovations from Mickey Thompson Performance has grown along with the company. Cooper Tire & Rubber Company's purchase of Mickey Thompson Tires in 2003 has helped to continue the company passion for innovative product design and helped to grow Mickey Thompson Performance Tires and Wheels into an industry leader with a network of thousands of dealers worldwide. Metra We at Metra always strive to listen to our customers. You have told us to do a better job at telling the Metra story. For over 60 years, Metra has maintained its cutting edge by paying attention to our marketplace and innovating products to fit the needs of the installer. We are the "Installer's Choice" because we are installers. We design our products to be easy to use and easy on the eyes. If you can see a Metra product, then we haven't done our job. Metra Turbokits are designed to be heard but not seen. This means that our fit and finish is the best in the business. Why trust your installation to a shoddy and time consuming kit? Our GSXL Turbowires are designed with the same philosophy in mind. Their longer length for ease of installation and thicker OEM cables with OEM connectors make for a mighty install, with no down time on returns or angry customers. MBRP Exhaust Behind these walls are people as obsessed as you with the quest for the ultimate in performance exhaust. For over fifteen years MBRP inc. has been delivering performance enthusiasts the most in power, the most in product quality and the most in customer responsiveness. It all began with the now famous B&B Eliminator, which soon achieved the status as the best selling performance snowmobile silencer of all time. Starting from little more than a vision and an absolute passion for all things performance MBRP inc. is now at the forefront of performance exhaust technology. Marshalling over ten decades of manufacturing and marketing expertise between them, the MBRP design team developed a line of performance diesel exhaust products that has made the rest of the industry take notice, and rush to catch up. Most recently MBRP Inc. has achieved something special for the sports truck enthusiast. The new sport line brings to the gasoline-powered vehicle the same perfect blend of style and toughness that diesel light truck owners have come to expect from MBRP. The line features a unique flow through muffler originally developed to increase the performance of thousand horsepower off shore marine engines. The result is a muffler that generates a deeper, mellow sound, improved performance numbers and cooler operating temperatures. For the future, MBRP inc. is determined to provide the highest fill rates in the industry, offer the most complete line of exhaust for diesel and sports truck enthusiasts and to be always pushing upward the definition of performance. Magnaflow Performance Exhaust MagnaFlow Performance Exhaust got its start as a natural extension of Car Sound Exhaust Systems, Inc., our parent company, that specializes in superior catalytic converter technology. Car Sound Exhaust Systems, Inc. has spent 25 years earning a reputation as a market leader around the world. Today, we at Car Sound/MagnaFlow are extremely proud of this and stake our 25 years of experience and reputation on each and every one of our products. Each new product we develop is personally evaluated by me and tested by our team of designers and engineers, then field tested to ensure that these products meet our stringent quality and performance standards. On May 18, 2000 Car Sound/MagnaFlow Performance Exhaust was awarded the ISO-9001 certificate. ISO-9001 is an international quality standard created by the International Organization for Standardization to define quality management and manufacturing systems. It has 20 specific design, material, and process requirements that help MagnaFlow/Car Sound ensure customer satisfaction with our products and services. ISO-9001 certified companies are re-audited every six months to ensure that quality standards are maintained. Together, we stand united in our passion to deliver the best performing, most durable and capable exhaust components in the world. As we go forward, you'll slowly start to witness a change as we segue fully into the MagnaFlow Performance Exhaust brand identity, a name that has achieved global recognition. This change will simply help people from both sides of our business understand that high quality and high performance is part of our mantra and...it's in our name. Lund Premium vehicles deserve premium accessories. That's why Lund brings light truck owners top-quality products that combine innovative, distinctive styling and rugged, year-after-year durability. From running boards to tonneaus, visors to wings, hood shields to cargo management, Lund's acclaimed accessories combine the variety and eye-catching good looks light truck enthusiasts need to make a great vehicle even better. King Shocks King Shocks is a manufacturer and servicer of custom made adjustable and rebuildable automotive shock absorbers and performance racing products for utility vehicles, OEM replacement and professional racing use. Our company prides itself on putting quality, performance and customer service above all else. Every product we sell is the result of constant testing and development done with top racers in competition worldwide. This real world testing exposes our designs to a level of abuse and destructive forces that cannot be duplicated in a laboratory. Our hands on experience enables us to make rapid design advancements others havent even dreamed up yet. Our product line consists of Coilover, Bypass, and Smoothie shocks as well as Bumpstops, tools and racing jacks. Our OEM and UTV upgrade kits offer serious performance upgrades and simple bolt-on installation. They are available for stock vehicles or those modified with aftermarket lift kits or long travel suspensions. King Shocks are serviced using simple hand tools when the time comes. You can order a seal kit and return them to factory fresh condition yourself or send them to the factory for service. All parts used in our products are machined in house at our Garden Grove, California facility from billet alloy materials on precision equipment to exacting standards and hand assembled by our trained technicians. In addition to the quality and innovative design features you will find on all King shocks, we provide you with the highest level of customer support. We offer complete tuning and rebuilding services. Our depth of knowledge when it comes to shock tuning and suspension set-up is second to none. We are available on a weekly basis at races, off-road events, and tuning sessions helping you attain the most effective damping performance from your suspension. When you choose to ride on Kings you can rest assured you will have the finest shocks obtainable. 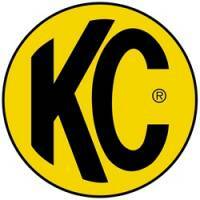 KC HiLites Every manufacturer tests their products. It's part of the process. At KC HiLiTES however, our ideas spend a lot of time in the laboratory before a light is even prototyped. We try to view our ideas as our customers do from the original inception to the final inspection. Is there a need; how can we best fill the need; how bright a light; what color of light; what shape pattern is needed; which housing is best suited for the application? These are just a few of the issues that we address before we really get started prototyping a new lighting unit. We prefer to test them in the real world of high performance racing. Since way back in 1970, feedback from professional drivers has helped steer our designs in the right direction. This open dialog with racers and enthusiasts has helped us to continually refine our thinking, and it shows in the performance of our products. It's also safe to say that every KC HiLiTES product that makes its way to market has graduated with honors from the school of hard knocks. At KC HiLiTES, we didn't become the dominant force in auxiliary lighting overnight. In fact, we've been traveling down that road for over 35 years, paved or not. Over that time, we've designed, engineered and manufactured the most advanced auxiliary lighting available. In the process, we've also built a rock solid reputation for quality and performance. That's why more and more drivers ask for KC HiLiTES by name. As the original manufacturer of off road auxiliary lighting, KC HiLiTES not only set the standard for the category, we created it. And while our thinking has always evolved, look close and you'll see a bit of our pioneering spirit in every new KC HiLiTES product. K&N Filters K&N Engineering, of Riverside, California, is the inventor and leading innovator of reusable cotton gauze filter technology for automotive applications. From humble beginnings as a family run business over 35 years ago, K&N Engineering, now a truly global company with offices in the U.K. and the Netherlands, continues to exist as a family owned business with an enthusiast mindset and a direct connection with motor sports that carries over throughout all levels of management and manufacturing. Today, K&N exists as both the sales and brand leader for performance filters, and maintains a stocking catalogue of over 3,500 part numbers, including an extensive line of both factory replacement drop-in filters, FIPK (Fuel Injection Performance Kit) applications, and its line of innovative Performance Gold oil filters. The cornerstone of K&Ns philosophy has been, and continues to be, that automotive performance does not have to have a shelf life, or to stand at odds with the quality of life of the purchasing consumer or others. Put simply, the benefits of increased performance associated with K&N filters contributes meaningfully towards money savings, fuel savings, and a dramatic reduction in environmental waste for the life of the vehicle in which the filter is installed. K&N appreciates that a little education goes a long way in helping consumers take an active role in thinking for the first time about air filters, and then taking an active stance in choosing the filter that is right for them and best reflects their values and needs. With this choice made, K&N consumers become K&N advocates for life, giving lifetime another layer of significance. ICI (Innovative Creations) ICI is a manufacture of Truck and Automotive Accessories, specializing in stainless steel products, like Nerf Bars, Oval Bars, Wheel to Wheel Nerf Bars, Rocker Panels, Pillar Post Trim, Chrome Door Handle Trim, Mirror Covers, Bed Caps, Bed Rails, Mud Flaps, Grill Guards and many more custom accessories for your truck or auto more. ICI Truck and Automotive Accessories is the original trim manufacture with first's in the market like Rocker panels, First to make Bed caps, and the First to come out with a high Polished Stainless Steel Nerf Bar. All of our stainless Side Bars and Running Board accessories are backed by a life time warranty. For a list of our Truck and Automotive Accessories retailers and distributors go to our dealer locator. There you will find some of the best automotive accessories experts in the country. ICI is proud of the quality we put into every Truck and Automotive accessories product we make and just as proud of our distributor network. When it comes to Truck and Automotive Accessories there really is a difference with ICI. ICI Truck and Automotive Accessories - where Quality and Service is still our top priority! Husky Liners It started with a passion for hunting and fishing trips, combined with a neat streak. Bob Tyler would take his Lab on his trips, but his vehicle would end up with mud splattered all over the floor. When Bob looked for a washable liner to protect the cargo area, there was none to be found. So he decided to make one for himself and the Husky Liner was born. Winfield Consumer Products demonstrates that neat streak as the facility is clean and well lit, providing an atmosphere for a safe work environment and the manufacture of a quality product by employees who care. It is a privately held company, whose primary business consists of designing, manufacturing and supplying automotive accessories for light trucks, sport utility vehicles, vans and cars to the aftermarket. Starting in 1988, the Company designed the original custom fit floor and cargo liner. WCP has grown from that idea to a 197,000 square foot manufacturing and distribution operation, becoming the automotive aftermarket's leading source for thermo-plastic floor and cargo liners. WCP's proprietary products include Husky Liners branded custom fit floor and cargo liners, heavy duty floor mats, custom molded mud guards, aluminum accessories and various other products to serve the aftermarket. WCP controls the entire process of its products, from the product design and tooling to warehouse and distribution with a strong commitment to quality, customer service, financial strength and the well being of its employees. The mission of Winfield Consumer Products is to meet, and where possible, exceed the requirements of our customers. This is demonstrated by being the originator of the custom fit floor and cargo liners, having the engineering and design team be customer focused and having the best customer service and distribution in the industry, with virtually all orders received shipped within 24 hours. Hidden Hitch Hidden Hitch has been manufacturing a complete line of premium trailer hitches and towing accessories since 1968. Six strategically placed warehouses and sales professionals across North America, enable Hidden Hitch to provide just-in-time delivery of its towing products and industry-leading customer service. Hidden Hitch is known for its ability to be first-to-the-market in offering products to its customers, and for leading the industry in order-fill-rate. Recent new product introductions include a line of fifth wheel hitches, gooseneck-style trailer hitches and weight distribution hitches for heavier towing requirements. Hidden Hitch has always been committed to delivering products and services of the highest quality. In 1997, Hidden Hitch became the first trailer hitch manufacturer to have a quality system registered to QS 9000-1998 and ISO 9001-1994. QS 9000 is a quality system developed by the Big Three automakers. Each year we are audited to uphold these standards. Hidden Hitch is dedicated to ensuring the safety of our products. We test all of our products to exceed V-5/CSA standards in our world class test facility. In 1999 our lab became ISO/IEC SAE guide 25 accredited. It is a high-tech facility that simulates real life conditions over expected product life cycles. Hella The Behr Hella Service joint venture makes a wide range of vehicle air conditioning and engine cooling parts and services available to customers: More than 1,000 articles provide a high market coverage; service parts round off the complete Thermal Management range. My Hella Lights is a new website geared towards consumers that provides information on Hella's line of Performance Lighting. There are many new products including a new line of Xenon lamps, upgrade tailamp kits for Chevy, Ford, Dodge, Toyota, and Ford trucks, and more. GTStyling Xenon / American Fabrication Corporation (AFC) manufactures quality low pressure Reaction Injection Molded Polyurethane automotive body styling parts and components for both OEM applications and our own aftermarket product lines. We operate tooling, manufacturing and administrative services from 37,500 square feet of facilities in Southern California including a complete Pattern and Mold department. We also inventory over 500 individual molds. The company was formed in 1973 and has been manufacturing polyurethane parts since 1980. Our friends know us as Xenon, pronounced Zee-non. We have earned a reputation as a leader in our market with a simple creed and philosophy. ...Quality starts with great design At AFC, we have the best designers in our field create visually exciting products to enhance/improve on the OEM designs. We design quality "into" our products and are proud to produce the finest products in our industry. We strive to treat our customers and suppliers with fairness and honesty. Ground Force At Ground Force, we specialize in complete tuned lowering suspension systems for your light truck or SUV. Silverado, F150, Ram, Yukon, Tahoe, our kit list goes on. Try our truck suspensions today! Go Rhino No matter if you are the hard-core offroad enthusiast who spends the weekend traversing the sides of cliffs or simply the on-road driver who wants to look stylish on your way to the beach, Go Rhino! has the stuff for you. Flowmaster Flowmaster operates the only exhaust Research & Design facilities of its kind in the world, centered around the SuperFlow SF-7100 engine dynamometer complete with E.C.A. (engine cycle analysis) equipment and also SuperFlow chassis dyno's. Through use of these dyno's, Flowmasters engineering staff can track the complete engine cycle in millionths of a second and can obtain exact technical data of each degree of cam rotation, from induction to the tip of the exhaust system, while also showing the power numbers that really matter, the power numbers to the ground. Flowmaster also utilizes Spectrum Analyzers to fine tune the sound of each of the eleven different series of mufflers that Flowmaster currently offers, both for peak performance and just the right sound levels and tones. Flowmasters product line includes exhaust products for Performance Street, Muscle cars, Trucks, Street Rods, RV's, Motorhomes, and all types of race applications. With over 400 different muffler models, 370+ exhaust systems and numerous exhaust accessories available, Flowmaster offers you the choice of sound to fit your sound preference from wild to mild and of your specific vehicle needs. Call our experienced tech staff for live help and detailed information regarding your vehicles. With Ray still active and hands on with the R&D department in the development, not only of new exhaust products, but also with new technologies currently being tested in third and new R&D facility, the future looks to be very exciting indeed. Firestone Ride-Rite More than seventy years ago, Firestone started developing a full air-based suspension for passenger cars. Firestone Airide air springs were installed on the new line fo general Motors buses in the late 50's. Later that decade, air springs began to gain popularity in luxury vehicles. Over the next 20 years, technology improvements in other suspension components, such as compressors and valves, helped support the growth of air suspension. In the 1970's, Ford Motor Company incorprated air suspension in the Lincoln Town Car and Continental. Firestone has continued to be innovative in product design, material selection and customer service, prviding our customers with improved ride quality and safe load-carrying capabilities. Fabtech Established in 1989, Fabtech started as a small custom fabrication shop specializing in building suspensions for Prerunners and Race Trucks. Fabtech has since grown into a world class manufacturer of Suspension Systems and accessories for the offroad enthusiast. Fabtech operates a 200,000 sq. ft facility in Chino, California performing all phases of R&D and Manufacturing in house. Suspension designs are created internally and hand crafted by Fabtech's team of Race Shop fabricators and engineers for proper functionality and performance. State of the art CNC Lasers, Mills, Lathes and Welders construct each component for exceptional quality control and superior strength. Unique designs, extensive testing and superior strength is why Fabtech builds the finest 2 & 4 Wheel Drive Suspension Systems on the market today. Fab Fours Fab Fours Inc. is the worlds leading bumper manufacturer dedicated to pushing the boundaries of innovation and design ingenuity in every performance product we develop. Ranging from ones tow rig to trail rig, you can count on the underlying fundamentals at Fab Fours to ensure that you have the best product at the best price with unprecedented customer service. Extang Extang, Inc. manufactures America's number one selling pickup truck bed tonneau and tonno covers, pick up truck accessories, and tonneau - tonno truck bed cover products since 1982. Extang was the first tonneau manufacturing company in America to sell the tonneau - tonno pickup truck bed cover, tonneau pickup truck accessories, tonno pick-up truck accessories, tonneau truck bed covers, and tonno pickup truck bed covers nationwide. Extang engineers created the No Damage, No Drilling, Clamp-On Aluminum Frame tonneau truck cover and the tonno pickup truck bed cover systems. We care about our tonno truck cover customers and understand how much you love your pickup truck. That leads us to design and build only the finest tonneaus - tonnos made so that they can be backed by the best pickup truck accessories and aftermarket pick up truck products warranty in the automotive industry. The Extang Warranty has you covered longer than most pickup truck owners will own their pick up trucks. So why worry? Our Extang tonneau truck cover customers receive a Lifetime warranty on the tonneau truck cover, tonno pickup truck frame and 10 Years limited warranty on any of our tonneau - tonno pick up truck bed covers and tonneau truck bed cover tarps. That's more than enough! There's a long road ahead and Extang tonneaus - tonnos have you and your pickup truck covered, protected and secure. Just like our pick up truck tonneaus - tonnos! Energy Suspension Energy Suspension is a self-contained company with all services in-housein order to maintain the highest quality control possible. They have over two decades of in-house experience in innovating, engineering and formulating a wide selection of polyurethane components for many different industries. This has qualified Energy Suspension as a premier manufacturer of the highest quality polyurethane products available today. Excellence is company policy, from the initial design stages, where tolerances, preloads and material formulations are madethrough the molding processes, to welding techniques, to hardware selection. This attention to component function and the devotion to quality has resulted in nine U.S. Patents for the company. Innovations include: FIRST with a state-of-the-art on-site new product development program which carefully analyzes various vehicle reactions equipped with Energy's Performance Polyurethane technology. FIRST with the largest product line in the industry for both import and domestic vehicles, and it still is! FIRST with replacement Performance Polyurethane automotive Control Arm Bushings containing outer metal shells. FIRST with a patented Performance Polyurethane Transmission Mounts utilizing an Interlocking Safety Feature. FIRST to offer complete Performance Polyurethane suspension bushing Master Sets for front-to-rear coverage of vehicle suspensions for popular import & domestic vehicles-called THE HYPER-FLEX SYSTEM. FIRST with Polyurethane Greaseable Anti-Sway Bar Bushings which feature easy greaseable zerk fittings. FIRST with Performance Polyurethane Ball Joint and Tie Rod Dust Boots. FIRST with a complete Performance Polyurethane Vehicle Product Catalog Web Site that is updated weekly! Eibach Springs Eibach suspension springs and components are engineered to meet the extreme requirements of racing, from the 245-mph Mulsanne straight of Le Mans to the fender-to-fender combat of the Daytona Motor Speedway. The chassis of a street vehicle is designed to be built at a minimum cost, and suited for an average driver. We enthusiasts, however, are anything but average. We know what we want from a vehicle. We want immediate response, reduced body roll, increased stability and enhanced cornering ability. And we want the look that comes with those characteristics---a lower, more muscular, more athletic stance. The special skills of Eibach engineers are in the tuning of the individual components (springs, dampers and stabilizers) to achieve the best possible harmony between the driver, the automobile and the road. As a driver you immediately feel more direct handling and greater predictability. Nose dive under braking is reduced, as well as excessive body roll in hard cornering. In any performance driving situation, tracking stability--and driver confidence--is greatly enhanced. Lowering your vehicle has one more additional benefit that we learned from all the race teams we work with and independent testing: reduced wind resistance. This allows for higher top speeds on the race track and better fuel efficiency on the street! See for yourself: check out how the average car or truck can be transformed with the installation of an Eibach suspension system. Eibach regards Motorsports as the ideal proving ground. The experience we gain at the highest levels of racing is directly converted into the development of the highest-grade chassis components on the planet. And the enthusiasm created by the challenges of motorsports drives us to ever-higher performance---performance that you will enjoy every time you drive. EGR EGR manufactures and distributes high quality automotive accessories in North America. Servicing the Automotive Aftermarket, EGR offers a broad range of high quality products including: Hood Deflectors (SuperGuards & Aerowraps), Window Visors (In-Channel & Tape-on), Fender Flares, Bed Rail Caps and SunRoof Deflectors. As one of the largest supplier of these type of products to more OEMs around the globe than any other supplier, EGR is able to meet the highest OEM quality standards. All EGR products are produced on either a CNC or Robotic machine to guarantee our products fit right the first time. At EGR, we are also proud to claim that we extrude our very own sheet that goes into making our products. All of these high quality OEM capabilities benefit your Aftermarket EGR product. Made right here in the USA, EGR's products are built to fit exactly to your vehicle and made to last a life-time. Edge Products Founded in 1999, Edge Products has become the premier name for aftermarket performance electronics. Initially, the company was built on its efforts to produce performance electronics for diesel-powered trucks. Over the years, however, Edge has expanded its offerings to include cutting-edge products for the gas, truck, and Jeep markets. Edge has been named three times to the Inc. 500's fastest growing privately held companies, and was noted as Utah's fourth fastest growing company between 1999 and 2004. Edge currently employs more than 100 individuals and resides in a 40,000 square foot facility in Ogden, Utah. Edge produces modules and programmers for all major vehicle manufacturers, including Ford, Chevy, Dodge, Jeep, and RV under the following brands: the A2, Juice, Attitude, Evolution, EZ, Insight, Mileage Max, and Trail Jammer. Since its inception, Edge has been known for the power its modules and programmers produce. However, what sets the company apart from its competitors is its monitoring capabilities. Coupled with the additional gains in horsepower, Edge's ability to display multiple engine parameters - and to provide associated safety features for those parameters on its stylish in-cab monitors - has revolutionized the industry. Edge endeavors to produce the highest quality products on the market and to deliver them with superior customer and technical support. On March 31, 2006, became a part of the MSD Performance Family (Which includes MSD Ignition, Superchips and Racepak). Edge, however, will remain in Ogden and will continue to operate as its own entity. DU-HA Whether youre a contractor, sportsman or simply someone looking for a great way to organize your pickup truck, the DU-HA is perfect for you. The DU-HA allows you to store your guns, ammunition, hunting gear, fishing rods and reels, tackle, GPS, binoculars, power tools, rain gear, tow ropes, tie down straps, first aid kit, bungee straps, jack, hats, boots, gloves, jackets, chains, jumper cables, spare batteries, etc. safely and securely either under or behind the back seat of your pickup truck. The DU-HA includes a 2 piece gun rack/organizer, so you can safely store your guns in their upright position. The DU-HA acts as a legal gun case in most states and carries 2-4 guns depending on the configuration for your truck. All DU-HA storage units come with a 30 day money back guarantee and lifetime warranty. Every DU-HA is constructed of heavy duty polyethylene and is virtually indestructible. Draw-Tite Draw-Tite was started in 1946 by Bill Whichello, an inventor. Bills first product was a clothes line tightener. He called it a Draw-Tite. Unfortunately, that was about the time residential clothes dryers became popular and there wasnt much call for the original Draw-Tite. Fortunately, Bill was also an avid RVer. He built a trailer hitch for his car and, since he already had the name copyrighted, he called it a Draw-Tite. Soon, Draw-Tite became a symbol of craftsmanship in the towing industry. The basis of Draw-Tites continued success is that our trailer hitches are custom-fit for each vehicle. This makes them easy to install. A dealer simply bolts Draw-Tites one piece, welded trailer hitches to the vehicles frame. Most installations take 30 minutes or less. Our trailer hitches are covered by a Nationwide/Lifetime limited warranty. We have over 10,000 dealers throughout North America. So wherever you live or travel, there is always a knowledgeable and helpful Draw-Tite dealer nearby. This is especially important when you consider nearly 100% of our consumers use their trailer hitch to tow outside of their local area. If they need assistance, the dealer they bought from can easily be hundreds of miles away. Currently, Draw-Tite manufactures over 750 different trailer hitches and over 600 accessories and parts covering approximately 3850 vehicle applications. We operate a manufacturing facility totaling 100,000 square feet of state-of-the-art production capabilities in Goshen, Indiana. Seven regional warehouses offer same day shipment of orders up to 2,000 lb. placed by 2:00 PM. Occupying an additional 100,000 square feet in total, our warehouses are located in Corona, California; Goshen and Southbend, Indiana; Oakville, Ontario; Starke, Florida; Burlington, New Jersey; Arlington, Texas and Fife, Washington. DiabloSport Founded in 2000, DiabloSport designs and manufactures the industry's most unique line of performance products for the automotive industry. Later we merged with Autologic, another star in the field of tuning since the early '80s. At DiabloSport, we do not wait for others to develop the leading edge technologies needed to succeed, we create them ourselves to gain the competitive advantages that help differentiate us from the competition. In fact we employ degreed individuals in various disciplines. These DiabloSport tuners and engineers are at the very forefront of developing breakthrough technologies for the 21st Century. Deflecta-Shield Aluminum The highest quality accessories for trucks, SUVs and vans you can buy, Deflecta-Shield Aluminum products are the perfect match of great form and unbeatable function. From our popular toolboxes, which offer the latest features in style and security, to the newest look in running boards that enhance vehicle styling and improve access, all Deflecta-Shield Aluminum products are highly engineered and built for lasting performance. Dee Zee LIFE should not be a hassle. Dee Zee strives to offer products that make your truck or SUV fit the way you live your LIFE. Our steps (Running Boards and Nerf Steps) make it easier to get in and out of your vehicle. Our Tool Boxes give you extra lockable storage, and our Floor Mats help keep your carpet cleaner. Personalize your vehicle to fit your needs and your LIFE. Dee Zee is here to Add More LIFE to Your Truck. Innovation is under the roof at Dee Zee. With various facilities to house robotics, various machines and to accommodate production processes, Dee Zee is equip to set trends in the market. From tool and die, stamping, production and finishing processes, Dee Zee has the technology to cut costs and adapt to the market needs. How can Dee Zee processes help your business? Dee Zee was among the first to offer factory controlled powder-coat protection to their aluminum products. Whether the coating is clear or black, the powder-coat finish prevents oxidation on the material and guarantees the ease of soap and water cleaning. Dee Zee has the ability to put some materials through an in-house vacuum metallization process. A very thin layer of metal is applied to the desired surface to produce a brilliant shine. Dee Zee uses this process primarily on racing wheels, but can be used on several types of products due to the range of colors it can produce. When Dee Zee is in need of a new machine or die, they dont have to look far. Dee Zee operates Tool and Die facility to produce in-house machines, CNC machining programs, and die castings. Dee Zee also operates a stamping facility with various presses to produce complex die stampings. The uses of robotics in Dee Zee facilities provide accuracy and efficiency. The robots not only allow Dee Zee to keep the cost of their products lower, but ensure damage free product handling and precision welding techniques. Daystar Daystar has been Designing and Producing Precision Plastic Components for Four Wheel Drive Trucks, Motocross Bikes, Passenger Cars, and Mountain Bikes since 1977. We produce millions of plastic injection molded parts every year on micro processor controlled Van Dorn molding machines ranging in size from 85 to 400 tons. The design and production of elastomeric boots or bellows is a Daystar specialty. We have developed proprietary design software, specialized injection molding bases, special purpose robotics, and unique boring and turning tools that enable us to provide the optimum boot solution to our customer at unrivaled tooling and piece part prices. Daystar is a recognized specialist in manufacturing cast polyurethane elastomeric and microcellular foam parts for the automotive industry. We have developed several families of proprietary polymer formulations that give us the ability to match material properties to the specific application at hand. Engineering excellence is not just a catch phrase at Daystar - it is the foundation of our company. Daystar engineers can execute all aspects of the design process for part modeling and simulation to multi axis toolpath creation. Daystar has been producing high quality injection molds for over 30 years ranging in sophistication from single cavity prototype molds to multicavity molds with hot runners and side actions. Our production facility includes multiple dispensing lines, a clean room for steel preparation for bonding operations, several custom designed automatic parts trimmers, a laboratory for testing part designs and material properties, and most importantly, a skilled team with a proven track record. CURT Manufacturing CURT Manufacturing, Inc. (CMI) stands for EXCELLENCE in our products and our people. CMI is a Manufacturer, Importer, and Distributor of Towing System products, OE Trailer products and Specialty Equipment products that combine competitive price, unsurpassed quality and unparalleled aesthetics. CMI aspires to be the industry leader by recognizing that the customer is King and that our people are our greatest asset. Coverlay Coverlay Manufacturing, Inc. originated in Denver, Colorado in 1982 and incorporated as Import Auto Products, Ltd., a Colorado corporation. Our original purpose, at the time of incorporation, was to import after market auto body parts from Taiwan and Italy and sell them to body shops in the Denver area. In the spring of 1982, we attended a trade show seeking new suppliers. At that show we discovered a formed plastic dash cover for the Datsun 240Z. We purchased a few for reseale. The typical response was "That's great! Do you have a dash cover for my vehicle?" Being confident and ambitious we declared "Those dash covers can't be hard to make - be we can do it". Six months later, we had the first dash cover we could sell. In November 1983, we attended the Specialty Equipment Manufacturers Association (SEMA) Trade Show in Las Vegas as an exhibitor. We proudly displayed our first twelve dash covers and we were overwhelmed by the response from the automotive industry. In 1992, after battling lost production from snow days, needing more space and a centralized location for shipping purposes, Import Auto Products, Ltd. moved to its present location in San Angelo, Texas. Since our trademark Coverlay became recognized throughout the automotive industry, we officially changed our name to Coverlay Manufacturing, Inc. in 1994. Our mission is to supply the consumer with a quality product at the lowest possible price. Covercraft World's largest manufacturer of custom patterned vehicle covers and products such as SeatSavers, UVS Heat Shields, Canine Covers, Pocket Pods and SeatGloves. Corsa Performance CORSA Performance is an engineering and manufacturing company based in Berea, Ohio that specializes in high performance stainless steel exhaust systems for the marine and automotive aftermarket. Founded by Jim Browning, the company entered the marine business in 1989. Since that time CORSA has become a leader in performance marine exhaust systems and components supplying more than 60 original equipment boat manufacturers and more than 1,000 boat dealers worldwide with 1,500 different part numbers for Mercruiser and Volvo sterndrive applications. Automotive products at CORSA Performance began with C5 Corvette exhaust systems in 1998, followed quickly by systems for the C4 Corvette, Camaro/Firebird and the Viper. Today, CORSA Performance also offers premium quality stainless steel exhaust systems for Cadillac, Mustang GT, C6 Corvette (including the new 505 hp Z06), the new GTO, 300C/Magnum/Charger (including SRT-8 models) and Hummer H2/H3 vehicles. In 2001, the company also expanded its product line to include truck exhaust systems, and now offers GM, Ford and Dodge truck and SUV products, including diesels. And in 2004, BMW was added to the application list. All automotive products are hand crafted in the U.S. from 100% premium stainless steel for highest quality, performance and longevity; and all our exhaust systems carry a limited lifetime warranty. CORSA Performance takes pride in its rigid quality control standards mandating that no system is released until it meets strict company criteria for both sound and fit. CIPA Mirrors CIPA's experience in the development and manufacture of rearview mirrors is derived from the European automotive industry. Until 1985, CIPA-USA was a subsidiary of CIPA-France, and innovative industry leader for over 65 years. Established in 1926, CIPA-France has played a major role in the design evolution of rearview mirrors. Clients in the European market include BMW, Mercedes, Renault, Volvo and Volkswagen. In the US market, CIPA mirrors can be found on Chrysler and Ford vehicles, plus some of the finest motorcycles, boats, ORV's, personal watercraft and snowmobiles manufactured. Since 1985, CIPA-USA has been a privately held U.S. Corporation operating in Port Huron, Michigan. CIPA has continued to show healthy growth year after year. CIPA currently manufactures its products in the U.S, Asia and France, and continues to provide high quality, fast-moving products setting sales volume records in almost every category sold. CIPA's high level of customer service and 'just in time' deliveries have converted CIPA from just a mirror supplier to a business partner. In 1987, CIPA entered the marine industry as a supplier of rearview mirrors to tournament ski boat manufacturers. Today, CIPA supplies mirrors to 100% of the tournament ski boats manufactured in the U.S. Since its entry into the marine industry, CIPA has introduced many innovative mirrors to enhance rearview safety in the family recreational and PWC segments. In the spring of 1992, CIPA introduced the first PWC aftermarket mirror, and remains the only company selling mirrors in that market today. CIPA-USA is the only company in the world with a full line of mirrors for all watercraft types. Carriage Works Carriage Works is synonymous with uncompromising standards of engineering and quality. Carriage Works uses innovative cutting edge technology to pioneer and develop the highest quality genuine billet aluminum truck accessories available. The ultimate combination of lightweight, style and strength makes Carriage Works the consummate choice for a style upgrade to any vehicle. 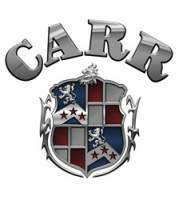 Carriage Works, Inc. established in 1981, utilizes state-of-the-art technology to manufacture high quality billet grilles and billet grille inserts, Billet dash inserts, billet accessories, billet steering wheels and Stainless Steel exhaust tips. None more famous than the Original billet grille (Circa 1989). Carriage Works grilles match the OEM body lines with engineered contours and profiles. Dowel rod uprights are less visible than V channel uprights. Dowel rod design allows the billet grille to fit within the OEM shell in Bolt-Over applications. Precise fitment is controlled by aerospace manufacturing tolerances ,utilizing automation and robotics that simply guarantee a perfect fit every time. Stainless steel hardware is utilized when available to prevent rusting. Multiple SEMA Excellence awards including: Design and Engineering, Best New Product and International Products. Grilles are manufactured using 6061-T6 Aircraft-Grade aluminum. Cross-bars are machined and formed from solid stock material. Grade 6061-T6 aluminum is the hardest billet material we can purchase, while still working within the production parameters determined which minimizes the possibility of rock and debris causing dents and pitting and marring the lustrous finish. Bushwacker We've built a reputation as the leading manufacturer of fender flares and truck accessories on almost 40 years of design and innovation. From the development of our first fender flares for the Ford Bronco, to our latest releases - our passion for style and our determination to offer Simply The Best products and unmatched service continues. Transforming & Customizing your truck or SUV with Bushwacker products has never been easier. Our consumer approach to easy installation, our commitment to offering the highest quality products and our unmistakable style set us apart. It's a spirit that you will find in all of our products and throughout the company, it's the spirit that drives us! Our commitment to style and innovation is a part of every product we make. All designs are meticulously scrutinized for every detail, using the latest standards in design and manufacturing. All Bushwacker products are computer-designed for accuracy and proper fit. We only use the toughest materials in our products, able to withstand the harshest environments. And we back that up with outstanding customer service: this is something you'll never find with other brands. Don't accept anything less than Bushwacker, we set the standard in style and product quality with every product we make. We're not afraid to back this up either. Our free Limited Lifetime Guarantee testifies that when you buy Bushwacker, you know you have a product that will last. Its our commitment to the automotive aftermarket that drives our style and our commitment to a quality product. Our #1 Customer Service request is Can you make a Bushwacker product for my vehicle? Believe us, we'd love to make Bushwacker products for everyone! We see this as a great compliment, so keep those requests coming and we'll keep adding style and innovation to your vehicle for years to come! Bully Dog Bully Dog was formed in 1998 in Aberdeen, Idaho. The founders of Bully Dog Michael, Phillip, and Daryl Klassen were heavily influenced by their father Harolds interest in improving vehicle performance. Several years prior to the companys inception, Harold had experimented with increasing performance on his diesel farm tractor by injecting propane into the engines combustion chamber. Bully Dog products are developed with you in mind and each of you has a different need, want and desire. Our products, all the way back to the first propane kits, reflect that. Bully Dog products are built to be flexible, allowing each user to get their own desired result, from outrageous performance on the race track to improved fuel economy driving down the highway. Bully Dog products have you covered with increased performance, added safety and improved economy. This is evident with the Triple Dog Downloader, Outlook Monitor and the new Performance Management Tool. These products offer the safety of a module married to the performance and flexibility of a downloader. Product innovation is key and Bully Dog takes innovation very seriously. In the past 8 years, Bully Dog has been first to market with product fitment and function over 80 times. They are the ONLY manufacturer that allows you to take their product for a free test drive with the Tri Before You Buy program. And in 2005 with the release of the Triple Dog Downloader and Outlook Monitor, Bully Dog revolutionized the market with the ability to adjust power, safety and economy levels on-the-fly while driving down the road. So what are you waiting for, find the right product for your vehicle and Unleash the Power! Brite Chrome Brite Chrome offers that inexpensive way to give your vehicle a whole new look with their custom-fit chrome accessories. From door handles to mirror accents to gas door covers, Brite Chrome products are made of strong, durable ABS plastic with a chrome mirror finish to give your vehicle the stylish look you seek. All products are easy to install by just peeling and sticking the product to your vehicle. Bestop Bestop has been in business for over 50 years. Starting out as a small trim shop making canvas tops for WWII Jeeps in Boulder, Colorado, we have gradually expanded our product lines and operation over the years to be your full service Jeep top and Jeep accessories provider. Bestop has been the factory original supplier to DaimlerChrysler for Jeep soft tops since 1986. Bestop has also been the factory supplier of soft tops and accessories for Suzuki, Isuzu, GM, Toyota and many other small SUVs. Additionally, we've also been serving the Toyota truck market and Toyota accessories market for Land Cruiser for over 30 years. 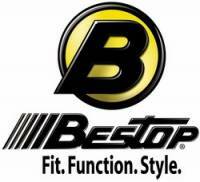 At Bestop, we proudly utilize the finest materials and adhere to the factory original specifications for fit, function, style and craftsmanship so you know youre getting the best there is. BedRug BedRug by Wise Industries is the ultimate in truck bed protection. Finally an ALL-PLASTIC liner that maximizes the use of your pickup! BedRug beats hard liners and spray-on liners for hardworking performance. BD Diesel BD Diesel Performance is unique among its peers in that it designs, manufactures and distributes a wide range of products specifically engineered for performance diesel applications. Located in Abbotsford, British Columbia, Canada, BD's state-of-the-art facility covers 65,000 square feet, and employs 60 plus highly-trained individuals. The BD name became recognized in 1989, when the company introduced the first exhaust brake for the burgeoning diesel pick-up truck market. BD's roots, however, actually date back to 1972, when Valley Fuel Injection, Ltd. first opened its doors. Today, Valley Fuel Injection and BD Diesel Performance are one, with eight specialty divisions that focus on diesel power train components: Fuel Injection Calibration Department, Exhaust Brake Manufacturing, Electronic Circuit Design and Assembly, Transmission and Torque Converter Design and Remanufacturing, Turbocharger Design, Installation and Research and Development. BD's comprehensive approach to the diesel performance aftermarket ensures not only quality products, but educated dealers and satisfied customers. Thank you for your interest in BD Diesel Performance! Banks Power Banks Engineering - First and foremost, Banks is an engineering firm. Established in 1958, Banks has grown to 200+ employees on a 12-acre campus. The Mechanical Engineering Department, staffed with world-class automotive people, designs and tests the latest high performance equipment. In the Race Shop, Banks special project vehicles feature cutting-edge diesel and gasoline development, multiple turbo applications, mind-boggling horsepower and head-turning style. Sophisticated electronic engineering technologies are applied to engine improvement in the rapidly growing Computer Systems Engineering Department. Gale Banks Engineering designs turbocharged engines from the centerline of the crankshaft, out. Banks Prototyping - Gale Banks Engineering is the company others come to for advanced research and development, including outside the box projects for both product feasibility and image-generating media attention. Major automakers, including Chevrolet, GMC, Buick, Volvo and Pontiac, have relied on Banks expertise and capabilities. Banks Testing - When it comes to testing, Banks engineers are as ruthless as they are uncompromising. Only the most advanced equipment and facilities are used for testing and re-testing existing products, production prototypes and experimental designs for performance, durability and compatibility. Ongoing testing ensures unparalleled functionality, product endurance and quality control. Banks Manufacturing - The Banks difference is clearly demonstrated in its Manufacturing Division. While many aftermarket suppliers farm-out designs or assemble grab-bag kits from various sources, Banks manufactures to exacting specifications every product it designs. Banks Capability - Gale Banks Engineering applies an unmatched combination of experience, capabilities and design/engineering/manufacturing savvy to provide automotive services and solutions that keep raising the aftermarket industry bar. Auto Ventshade Great looking, great fitting and guaranteed to turn heads, AVS accessories add both function and fun to any ride. Combining value, contemporary styling and unmatched durability, AVS products are easy to install, easy on the eyesand easy on the budget. From Ventvisors to hood shields, light covers to hood scoops, our accessories are built to last and designed to fuel your imagination. Auto Meter Next generation instrucments from Auto Meter combine our NASCAR proven racing movements with our award winning LED lighting technology to offer you the ultimate in Accuracy, Durability, Visibility and Styling. Aries Offroad Aries Automotive hit the road running in 1997. We have since become an industry leader in providing the latest truck and SUV models with unparalleled tubular steel, aluminum, carbon fiber and ABS plastic products. We have furthered our success by recently expanding our operations in San Antonio, Texas, Harbor City, California, and Richmond, Canada. This has enabled us to meet the increasing demands for our unique and innovative products with on time delivery, at competitive rates. When searching for the latest model application, or simply a top quality automotive aftermarket product, call on Aries Automotive. Anzo USA Anzo USA offers the best quality performance lighting products at the lowest cost. All ANZO USA products are S.A.E. (Society Automotive Engineers) and D.O.T. (Department of Transportation) compliant to FMVSS no. 108 (Federal Motor Vehicle Safety Standards); and manufactured in a state-of-the-art ISO 9002 and QS 9000 quality certified factory. In order to ensure perfection, we rigorously test every ANZO USA lighting products in a Thermo-Hygrometer (temperature and humidity chamber) and Rain-Resistant Tester. As well as thoroughly exposing all of our products to intense photometric testing to guarantee strict compliance with local, state, federal and international standards. All of our lighting products are designed using CAD/CAM computerized equipment and these modern designs are then tested using a 3-dimensional testing machine to insure precision and accuracy in the research, development and design of our molds. 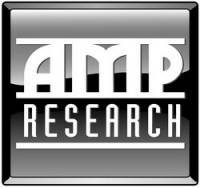 AMP Research OPEN DOOR. STEP ON BOARD. AMP Research Power Step automatically deploys for easy stepping in and out of your high-riding truck. When doors close, this power-operated running board retracts safely out of sight with no loss of ground clearance. The AMP Research Power Step is built to perform in severe driving conditions and is backed by a 5-year/60,0000 mile warranty. All Sales AMI carries the largest line of accessories to enhance your car or truck. Whether you drive a Chevy, Ford, Dodge, Jeep and Nissan youll surely to find exactly what you need, by simply searching our product database. Airaid Build it better. Thats the American ingenuity behind many of todays successes in the automotive aftermarket industry and the story behind AIRAID Premium Filters. The company was founded in 1997 when it began developing and manufacturing air intake systems for light trucks and SUVs, utilizing the cotton-gauze filter technology that was available at the time. The original AIRAID Intake System combined an open-element filter with an intake tube to make an easy-to install air intake kit that dramatically increased air flow, improved performance and generated more horsepower and torque. AIRAID Premium Filters consist of multiple layers of cotton-gauze plus one layer of synthetic fiber material called SynthaFlow, sandwiched between either stainless steel or aluminum mesh, depending upon the application. The casing of the filter is hand-poured urethane, which offers superior performance and durability, and wont shrink or crack from prolonged heat exposure under the hood. Superior filtration and flow, thanks to the SynthaFlow material, is what makes AIRAID Premium filters better than the rest. SynthaFlow enhances dirt filtration down to two microns and is moisture resistant. AIRAID Premium Filters are also washable and re-usable and are guaranteed for life. Over the years, AIRAID Premium Filter Company has become the recognized leader in air management for both gasoline and diesel power plants. Extensive research and development has allowed AIRAID to come to market first with high-quality products that improve drivability and performance. It has also allowed us to further expand our product line to offer a complete line of AIRAID Intake Systems and PowerAid Throttle Body Spacers. Air Lift Air Lift Company has been developing air spring suspension products for more than 50 years. The original product, a rubber air spring inserted into a car's factory coil spring, was developed and patented in 1950. Air Lift Company has the longest history of product development dedicated solely to the development of light vehicle air suspension products. In the 1950s, Air Lift pioneered the use of air spring inserts in coil spring suspensions. Then, in the 1960s, the company introduced the use of sleeve-type air springs on pickup truck suspensions. Use of air helper springs and motorhomes followed in the 1980s with street rods and lowered vehicles the new target in the 1990s. Today Air Lift Company is a leader in aftermarket air suspension products which are an evolution of the company's engineering excellence and breakthrough development programs. In fact, Air Lift has won more SEMA awards for air spring development than any other company. Air Lift products are sold throughout the world and can be engineered to fit almost any coil or leaf spring suspension. The extensive product line includes everything from air helper springs for cars, vans and trucks to full air suspension replacement and control systems for recreational vehicles, emergency vehicles, hot rods and lowered performance vehicles. Air Lift also leads the industry in no-drill applications-kits that bolt on to the vehicle's frame, simplifying and speeding installation. Air Lift Company is committed to fulfilling the requirements of their quality management system: to develop, manufacture and continuously improve the highest quality products that fit, work and last. Their goal is to consistently provide products and services that meet or exceed the requirements and expectations of their customers. *On purchases of $250.00 or more, not to be combined with any other offer, limit one coupon per customer per visit. Thanks for fixing the truck up!! Thank you for your contribution toward the truck. Your generosity means so much to us. Dear Ideal Automotive, Thank you so much for the dash cover, speakers, and stereo installation on my Dad's truck. I apologize for sending this out to you so late, but I've been very busy driving my gorgeous truck to school, soccer and friend's houses. Your time and donation to us are greatly appreciated. I can't thank you enough!